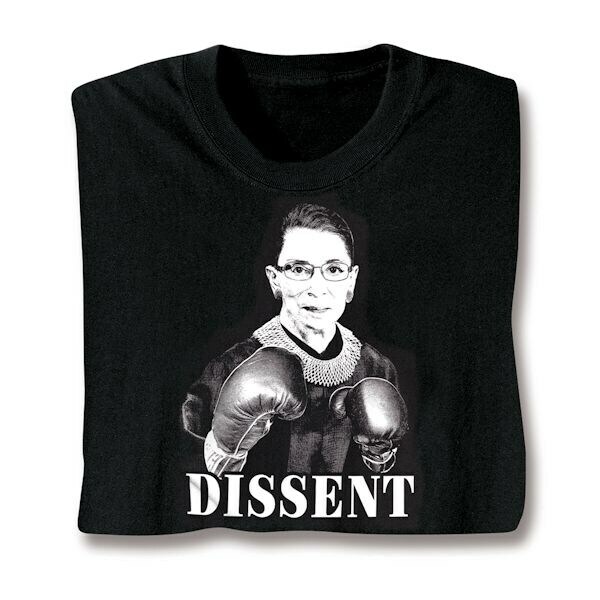 The ruling is in, and Ruth Bader Ginsburg is ready for a fight! This RBG t-shirt is a supreme addition to your wardrobe and features Justice Ginsburg sporting boxing gloves and her favorite word: DISSENT. Imported. 100% cotton tee. M-XXL.